Our own published colour ranges are only a small part of our colour development activities. Adcolim Ltd have over 10 years experience of manufacturing and supplying decorative granules to many prestigious companies - large and small. Over this period we have provided many unique, custom-made granule blends and because of our extensive expertise we can create and match virtually any design and colour to your exact specification. A Chromat granule blend is dependent on many different factors and each one can contribute significantly to the visual appearance of the finished product. 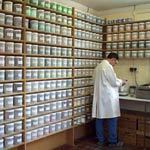 We have over 40 base colours in stock and each one is produced in 12 particle sizes. The composition of a blend is dependent on the colours selected, the particle sizes of each colour and the particle dispersal or distribution within the blend. The control of these combined factors enables us, not only to create infinite permutations of design structure and colour variance but, once developed, re-create them consistently. In addition, we continue to create special effects in order to add new dimensions to your surfacing products. Send us a sample of what you would like to match and we will provide a solution that meets your requirements.